On July 20, America celebrates the 50th Anniversary of the Apollo Moon Landing. Lawrence Public Library is your launch pad to a whole universe of stories beyond your own. 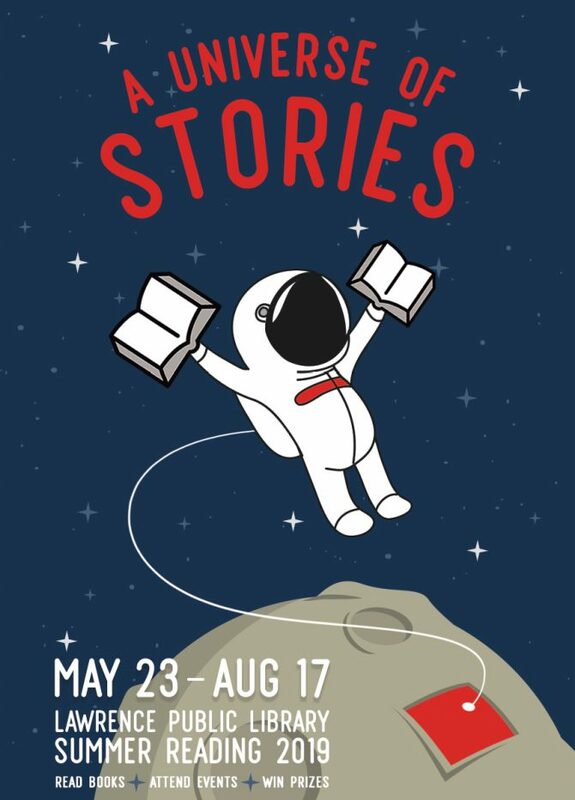 This summer we're challenging Lawrence to reach for the moon, too, by reading books, attending events, and winning fabulous prizes. The library is a dynamic place to explore space: from shaking up our routines and learning about new people and places, to untethering from our comfort zones and simply carving out time for ourselves to read and reflect. No matter how far we travel, we can always come home. Let's take this giant leap together!